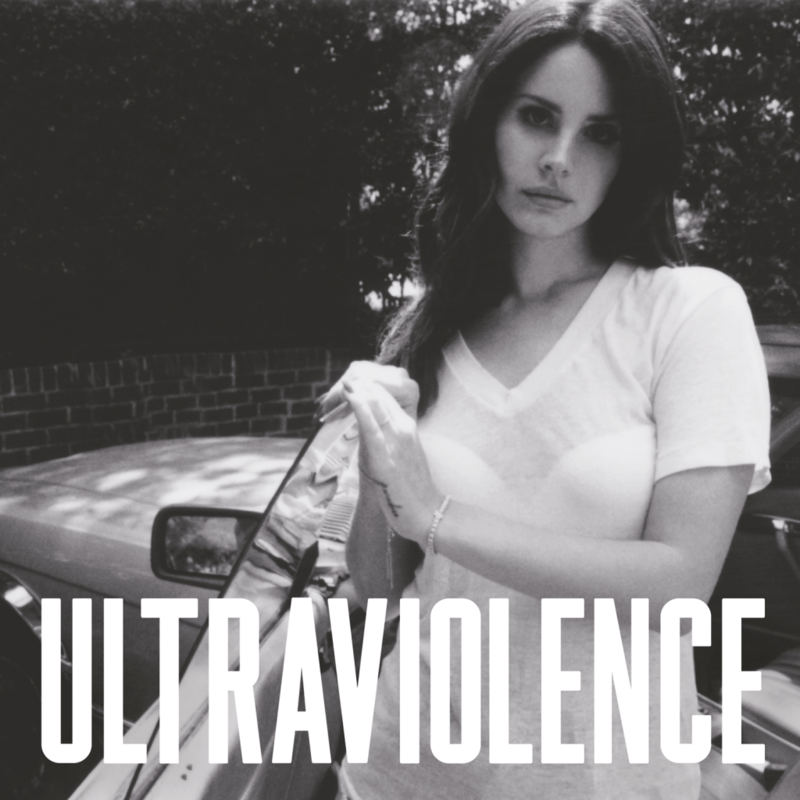 Below is a track-by track review of Lana del Rey’s newest and much anticipated summer album, Ultraviolence, an album that I believe to be very experimental and successful for the blooming artist Lana has become. Full of lush guitars, thudding percussions and powerful vocals, it has an overall consistent mood that keeps it direct, passionate, and poetic. Raved by critics as a stepping stone for the aloof 1960’s princess, Ultraviolence is a rich, and decadent project about isolation, abuse, drugs and hyper romanticized emotions. Although the record carries the same, monotnous mood and insturmentation and borders repetitive, it is nonetheless a unique and original project with it’s own brand of pop rock fusion which carries it to the top of this summer’s most expansive, profound and well created albums. The first and longest song in the album sounds like the quintessential “Lana song” complete with hauntingly beautiful vocals, and a dramatic chorus. Cruel World is a solid introduction song, with powerful lyrics that, as always, seem to story tell and a hold a provocative sound that compliments the biting words. This song tops one of my favorites on the album. This song is wonderfully composed, and the lyrics are perhaps my favorite part of it. The serene music accompanied by the dark lingering lyrics screeches the desire for pain and harm. It’s a wonderful number with a chilling synergy that evokes pain and stories a tragic relationship of irresistible and damaging men. Shades of cool is yet another Gatsby-esque themed song about a tortured but suave man and a downcast woman who falls in surrender to his unfixable ways. The music in this song remains consist in sound, and the recurring melancholic tone continues even through the powerful guitar solo in the end. It’s got an old time feel, ravished with a twinge of modernity. Truly a lavish song with wailing vocals and a heavy atmoshpheric tone. Perhaps my favorite song on the record, this song stays very true to the quintessential Lana with her clever lyricism about drugs, jazz, bands and boyfriends. The song in itself is a story, a recurring angst and emotion followed closely throughout the song. The music is mournful and creative, introducing subtle male vocals and minor scatting by Lana herself. This song is genius and embodies Lana’s experimentation quite perfectly. West Coast is a sultry, and sexual song about Californian hedonism, decadence and self-destruction. Dan Auerbach’s guitars speak louder than the lyrics in this poignant number that bites right into tense emotions. Lana seems to sing this song as if casting a magical spell, definitely one of my favorites from the album this song is sure to enchant you right after the first listen. This song is an interesting and thoughtful ballad with lingering vocals and a powerful chorus. Sad Girl is a touching piece of work that carries a pleasant yet melancholic tone that will have you shedding tear or two. A much simpler constructed song, starting with mellow guitars and plunging into a drastic chorus. The song is a dark recounting of a neglected lover sung through a ghostly wail of hopelessness through a hurt girl with no hope of finding happiness. It’s a desperate song of self consolation filled with morose yet tranquil and lovely tonality. This jam sounds like revenge, cold and brutal as it goes on to spool out beautiful and expensive things. A dark and seething song about a woman recovered from the ashes of a relationship, ready to take what’s hers. Yet another anthem dedicated to the pretty and exploited girls of the world. This faster paced attack on a blackened system of power and getting it- is a complex piece of work, delicate yet biting, this jam continues Lana’s doll like innocent vocals accompanied with dark music and an even darker meaning. As always Lana uses her wonderful imagery through lyrics to paint an image in her listener’s head. This song in particular is of a soft, beautiful and luxurious world of wealth. Old Money, however isn’t precisely about old money, or money at all but follows a vague story about emotions and the history of a confused girl. This is a solemn ballad, with wonderful vocals complete with a chilling yet ear-pleasing sound. This song is nonetheless than a tragedy about a beautiful and lonely mistress. Slathered in a nostalgic old time Hollywood feel, with subdued vocals and a relaxed musical number, The Other Woman is the perfect ending to this tragically lovely, melancholic and quasi-existential album.